I like Stoke City so a red and white football top. I once served drinks to Tinie Tempah. 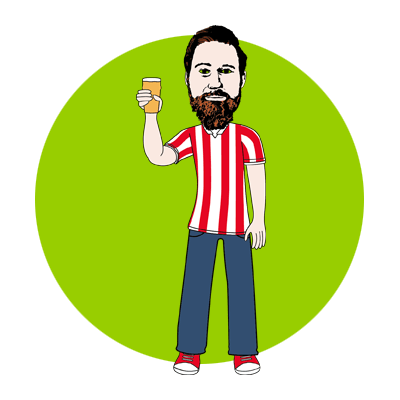 Stoke City, Football, Photography, A good beer or pale ale. Family members and friends around me.